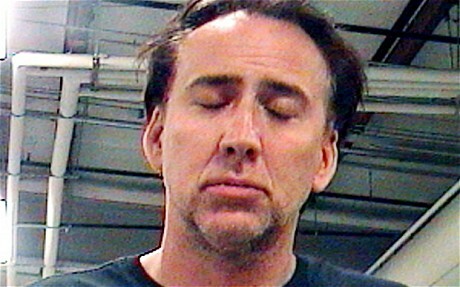 Nicolas Cage was involved in a domestic disturbance this weekend in New Orleans, Louisiana. Cage was outside his home with his wife, Alice, and the two had a disagreement that was overblown and escalated much farther than it should have. Cage and his wife argued about the address of the apartment they were renting in the area. 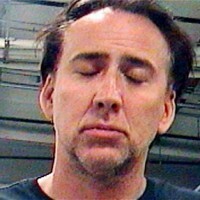 The New Orleans Police Department reported that Cage and his wife were outside when the argument broke out. The two were outside in front of the apartment that Cage said they were renting. His wife Alice told him otherwise. Cage then grabbed his wife by her arm and took her to the apartment. The argument escalated and Cage went on to physically strike parked vehicles and tried to get into a cab. Once Cage did get into a taxi, the police officer on the scene told Cage to exit the vehicle. Cage then began screaming at the New Orleans police officer. Cage then dared the police officers to arrest him. Due to the scene he was creating, along with the vandalism to the vehicles and the physical abuse of his wife – even though there were no apparent injuries done to her arm – the police did in fact place the actor under arrest. Cage was apparently under the influence of alcohol. He was released from prison early Saturday. His bail was set at $11,000. Legal trouble is nothing new to Cage. In the last few years he has had trouble with the IRS due to millions of dollars in unpaid taxes. Cage’s current marriage is his third. His first wife was actress Patricia Arquette. He was then married to the daughter of music legend Elvis Presley and the former wife of the King of Music Michael Jackson, Lisa Marie Presley. The 47-year-old had one son with his third wife Alice. Despite the incident, Cage is still most famous for his acting. His career spans four decades, since the early 1980’s. His resume features roles ranging from minor spots in movies like Fast Times at Ridgemont High to staring roles in Leaving Las Vegas, National Treasure, and numerous other films. Cage is also well known for his producing. In the coming days, Cage is expected to release a statement about the incident. It has yet to be determined how serious the charges are against him. The event is not expected to delay his current projects.